Jens Krogh was built and launched in Frederikshavn, Northern Denmark, in 1899. She is a 38 ton Gaff Cutter and was named after a Danish merchant. In 1913, Jens Krogh was sold and under the name of Ida, fished from Esberg for 44 years. Over that time she increasingly lost more and more sail area and had an increasingly large engine. In the 1950’s, she was sold to an owner who fished her in Aalborg Bay under the name of Ulla-Vita. In 1973, the FDF (Danish Boy’s Brigade) in Aalborg who completed an extensive refit and restored her to her former glory and original name. 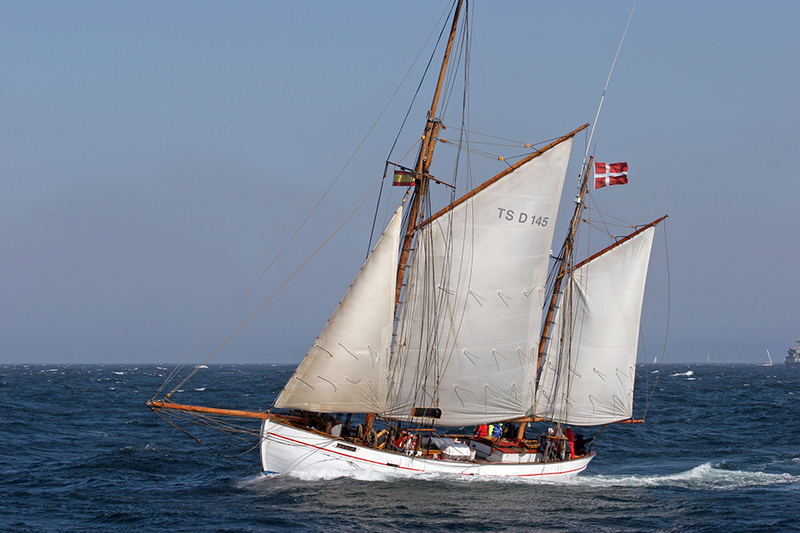 Jens Krogh was re-launched on 18 June 1976 and has since competed in The Tall Ships Races on a regular basis.